b. Click on Tools, and then click on Internet Options. 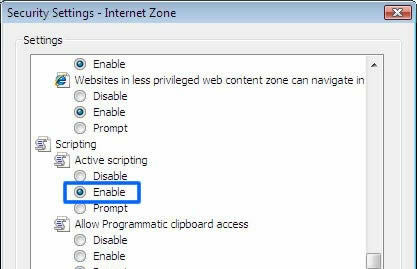 c. Select the Privacy tab and set settings to Medium level or click default button. c. Click the Security tab and Custom Level, scroll down until you find Active Scripting and set to Enable. d. Then click OK to confirm.